Empire Property Group is proud to present its latest project in West Hollywood, Empire at Fairfax. This 34-unit luxury development will contribute affordable units to the City’s affordable housing program. It will include community enhancing retail space on the first level, four stories of beautifully designed residential apartments, and for the enjoyment of its’ residents, unparalleled recreational courtyard and rooftop areas. There will be one level of subterranean parking for residents and retail parking available on the first level. The graceful design of the building will offer a dynamic profile featuring a glass artwork installation by a world-renowned artist embodying the vibrant community of the Fairfax District. 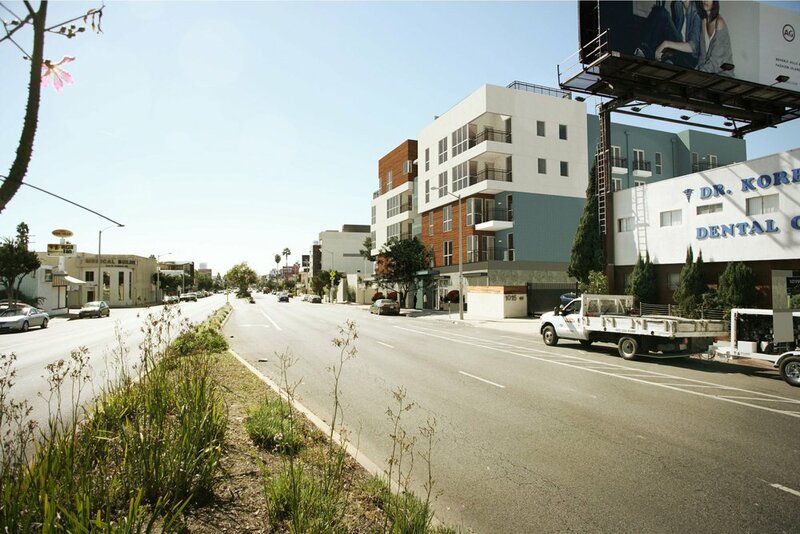 Empire at Fairfax's green-building design, spacious floor plans, and prime West Hollywood location will provide new and attractive housing for residents looking for quality urban living.